If you search online what vitamin D can do, you will find most of the answers are about its benefits in bone health. But vitamin D can do much more than that. Recent studies have shown that a healthy level of vitamin D in the body is linked to lower risks of many health conditions. In one recent study published in PLOS Medicine, researchers analyzed 58000 people with type 2 diabetes and 370000 healthy people in Europe and China. 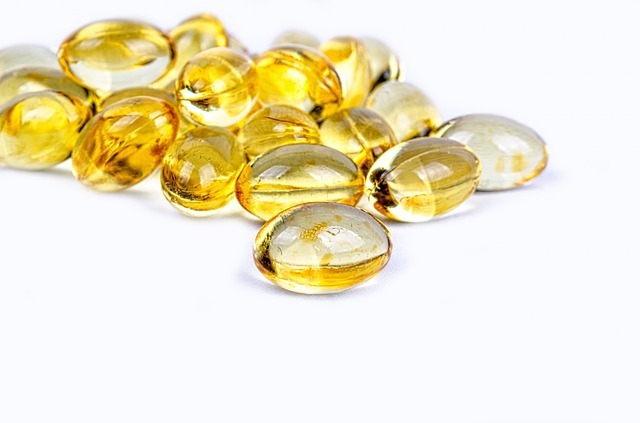 They found that higher vitamin D status was related to lower risk of type 2 diabetes. The team thinks that vitamin D supplement can be a simple and cost-effective way to prevent type 2 diabetes in people who have vitamin D deficiency. The finding has important implications for public health policies on food fortification with vitamin D for the prevention of diabetes. In another study published in PLOS ONE, researchers enrolled 1,713 participants to examine the link between risk of breast cancer and blood vitamin D concentrations. They found that women with blood levels of vitamin D that were above 60 ng/ml had only 20% the risk of breast cancer compared to those with less than 20 ng/ml. The researchers suggest there is a strong association between serum vitamin D and the reduction in risk of breast cancer. In a large international study, researchers found that higher vitamin D level in the blood is strongly linked to lower colorectal cancer risk. Their analysis included over 5,700 colorectal cancer cases and 7,100 controls from the United States, Europe, and Asia. The results show that compared to people with vitamin D level considered sufficient for bone health, those with a deficient level of vitamin D had a 31% higher risk of colorectal cancer. On the contrary, vitamin D level above bone health sufficiency was associated with a 22% lower risk. One recent study shows that vitamin D deficiency may contribute to poor respiratory health in middle-aged adults. The researchers measured serum Vitamin D levels, lung function and respiratory symptoms in more than 5000 baby boomers. They found that low levels of Vitamin D were linked to respiratory illnesses such as asthma and bronchitis. Researchers suggest that this is because vitamin D can help improve lung development and structure, respiratory muscle strength, inflammation and immune response to respiratory pathogens. A finding published in The Lancet Diabetes & Endocrinology shows that in women planning to conceive after a pregnancy loss, those who had sufficient levels of vitamin D were more likely to become pregnant and have a live birth. The researchers tested blood levels of vitamin D in roughly 1,200 women before pregnancy and again at the eighth week of pregnancy. They found that Women who had sufficient preconception vitamin D levels were 10% more likely to become pregnant and 15% more likely to have a live birth. This result suggests that vitamin D may play a protective role in pregnancy. Experts suggest that vitamin D can be obtained in the diet, particularly from fortified foods, from supplements, and from sun exposure. To reach a healthy level of vitamin D, you should take dietary supplements of 4,000 to 6,000 international units (IU) per day, and less with the addition of moderate daily sun exposure (approximately 10-15 minutes per day outdoors at noon).